Contouring is one of those things that you think you can get away with on a day to day basis, but if you try it once with a great product, you'll be hooked! When it comes into autumn and winter, I tend to wear heavier coverage bases to give a flawless finish and my current favourite is Estee Lauder's Double Wear. With heavier coverage though, I run the risk of my complexion appearing flat, so it's important to sculpt everything - cheekbones, temples, jawline, the whole shebang. This little gem, the Define and Conquer Contour Kit from Seventeen arrived to test out a few weeks ago and I kid you not, I've been using it almost every day to give my face a bit of shape. €7.59 is the damage and it's a proper bargain altogether for what it is and how it performs. Inside the compact is a contour shade which is the right balance of ashiness and bronze to give a warm yet subtle contour. It's teamed with an illuminating highlighter powder which is not like any other powder I have in my stash in that it has no glitter or shimmer, just a really fine almost pearlescent finish that's so subtle, but works perfectly with the contour shade. Both powders are finely milled and the contour shade is a joy to use in that it doesn't look muddy on the skin and blends out easily, giving a natural finish. If I'm doing a general bish bash bosh general contour, just adding warmth to my face, I use a blush brush and use circular motions to work it into the skin. But if I want a bit more shape, I use the Real Techniques Contour Brush which does what it says on the tin. It's imperative that if you're contouring, that you must do the ridiculous fish face so you can carve out those cheekbones. I place the colour where I want it and then blend upwards, lifting my cheekbones as high as they'll go! You can layer and blend and keep going until you're happy with the finish on your skin. 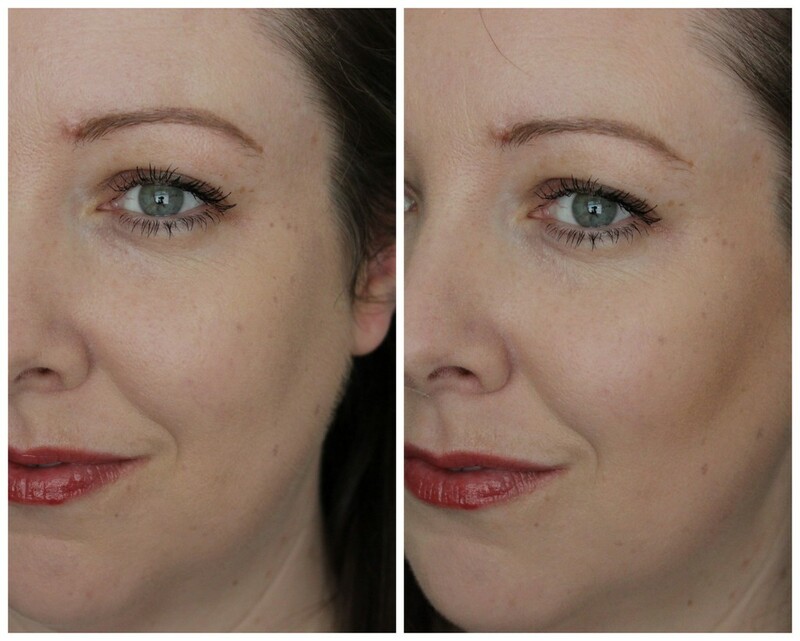 For an everyday look, I just use one layer, but for night time, I totally build it up so I look about 3 stone lighter! Then I apply the illuminating powder on the top of my cheekbones and apply it on my forehead, nose, chin and to set any under eye concealer I might be wearing. As I said, this powder is subtle and for those that like a more shimmery wet looking highlighter, you'll need to apply something else. For work, this is perfect for me. It gives an almost airbrushed finish to the skin and it's lovely. You can't even see it on the skin! This pleases me to no end because my aim is to fake having grand skin and grand cheekbones. And this contour palette definitely takes care of the cheekbone end of things. If you're new to contouring, then definitely check this duo out. It's affordable, is so easy to use and definitely helps lift my complexion, cheekbones and anything else going! You can pick up the Seventeen Define and Conquer Contour Kit in Boots now and this gets two big old thumbs up from moi and my cheeks! Love it. Are you a contour queen? Will you be trying this or do you have a favourite? Oooooh I want it, Such a bargain and the contour colour looks like the perfect shade. I want it!! Did I mention that I want it?! Oh wow, that looks amazing and a bargain too! I can't wait to try it. This is on my list of things to try! :) I have heard such great reviews!